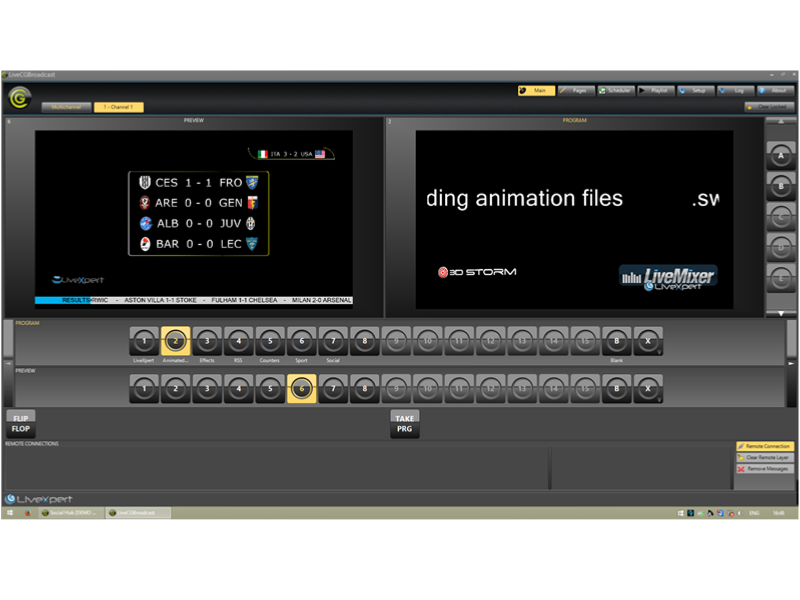 LiveCG Broadcast IP is a stand-alone 1RU device that gives the ability to display titles and graphics in TriCaster and 3Play, including fixed and animated titles and logos, crawled or rolled tickers, clocks, countdown, dynamic datas and bitmap sequences. LiveCG Broadcast features Social Hub software module to collect, moderate and display messages coming from various platforms such as Facebook®, Twitter®, Flickr®, WhatsApp®, Skype®, Instagram®, Line®, OpenWeatherMap®, RSS feeds, emails... in real time. 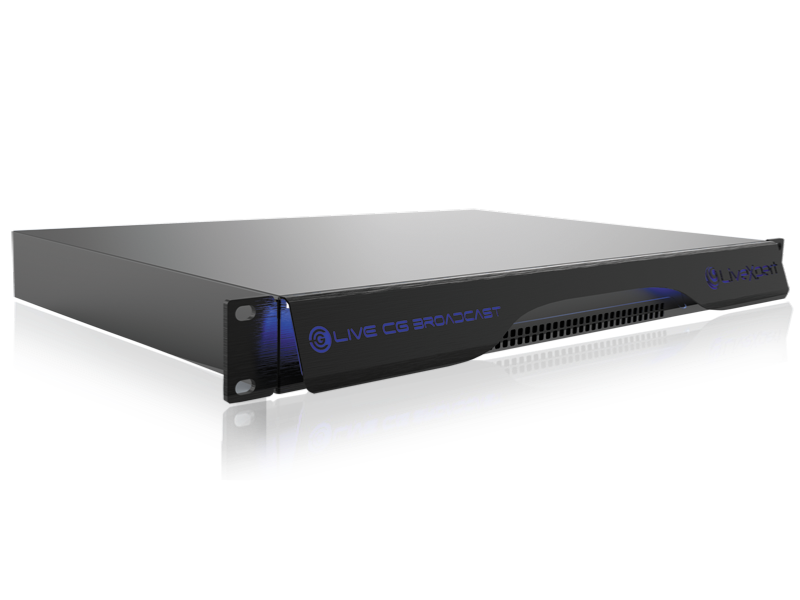 LiveCG Broadcast IP supports NewTek AirSend and NDI protocols and connects to NewTek TriCaster and 3Play using an Ethernet connection. - Supports AirSend® and NDI® protocols to connect with TriCaster and 3Play 440/4800.